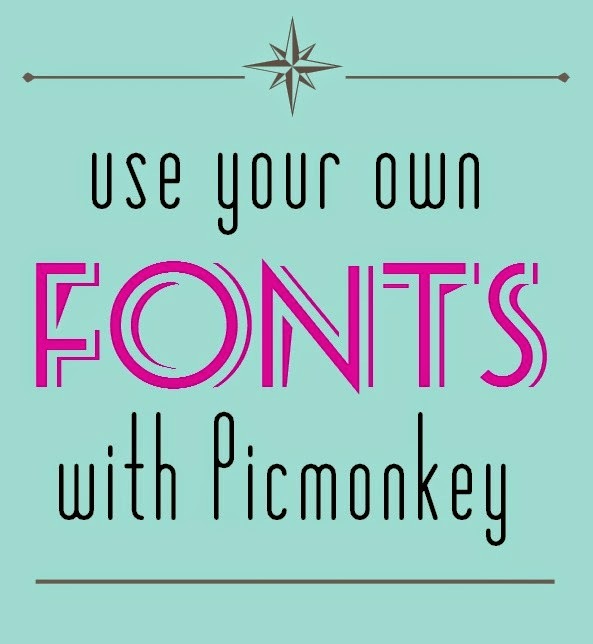 PicMonkey just announced on their blog today that users can now access all of their own fonts and use them with Picmonkey! That's right, download a zillion of your favorite gorgeous fonts and use them to make blog buttons, Pinterest pins, memes and whatever you like. Simply go to the text tool and you'll see a button for "ours" and "yours"
I am quite a font addict so this is really exciting!! 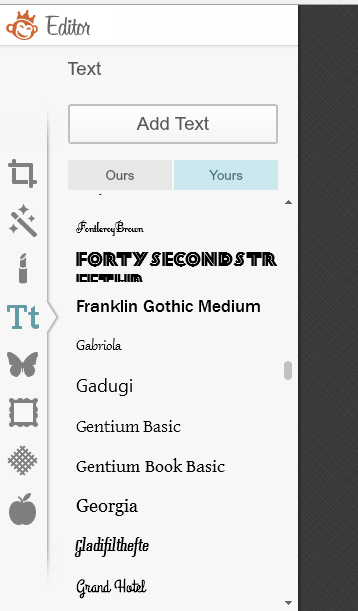 So where do you get awesome free fonts? Get full use of Picmonkey's awesome Royale features by subscribing for $33 per year or $4.99 per month. Also check out my ecourse, Bloggerific: A Guide to a Beautiful, Successful Blog to learn how to design your blog by yourself using Picmonkey.